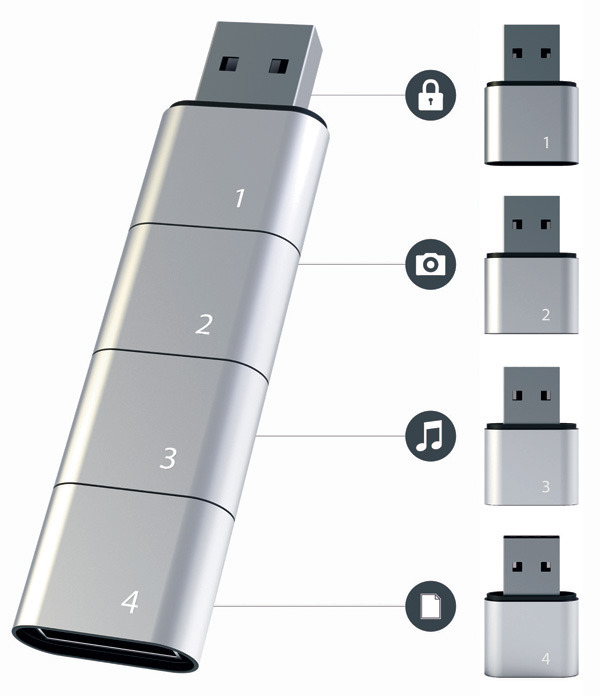 USB storage seem to come in plenty of shapes and sizes. To carry around a library of various different materials you either have your run-of-the-mill USB hard drive or a bundle of USB pen drives to categorise what content you have on which. Presenting the conceptual middle ground. Designer Hyunsoo Song has created the Amoeba Modular USB flash drive, a set of miniature USB drives that can either be used as separate entities or together as one, allowing you to sort data on each particular segment. We have to admit, this is downright ingenious: an option of filing that we never knew existed. However, take the word "conceptual" into account, as this isn't actually a physical device yet; but you can't help but think something like this isn't possible in the near future. Put us down for a few, even though we'd probably lose the individual sections in mere moments.